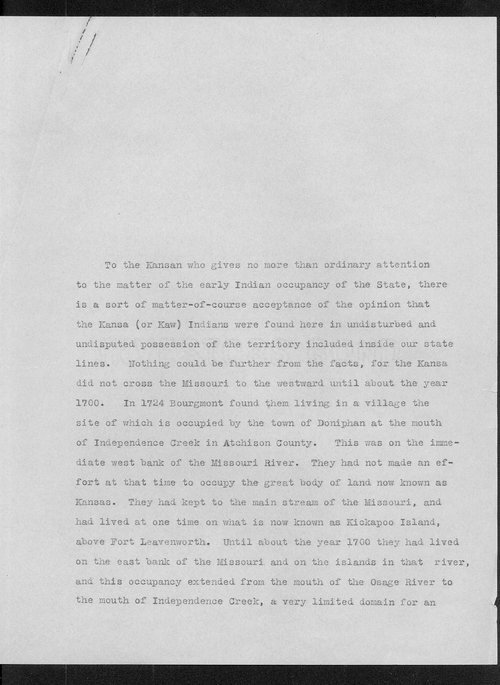 This item, written by William Elsey Connelley of the Kansas State Historical Society, traces the origins of the name Topeka. Beginning with the early settlement of the land that became Kansas, Connelley examines the history of the Indians in the area that eventually became the capital of the state of Kansas. According to Connelley's research, the Tapage Pawnee were the group from which the name Topeka was derived after "it went through all the corruptions and misapprehensions to which white men subjected Indian proper names."